In a sneak peak before the new burger restaurant’s official opening 2 weeks ago, we enjoyed what is likely the most beautiful kosher burger restaurant we’ve ever seen. 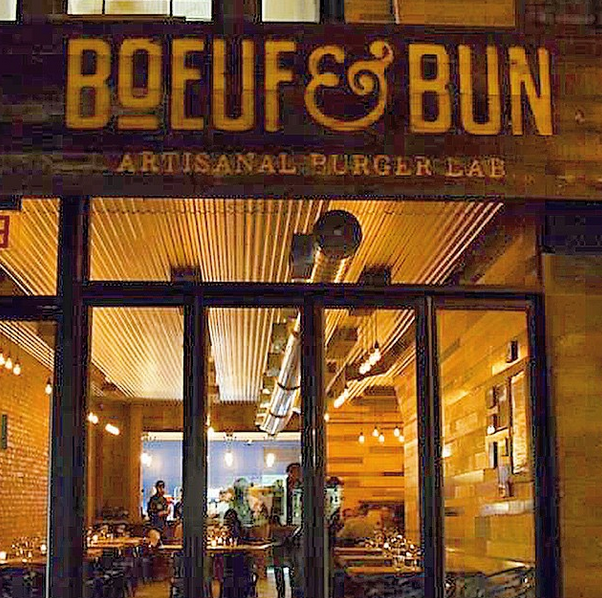 Boeuf & Bun is not a typical burger joint serving fast food grub, but rather, you are paying for a sit-down, waiter service, high-end experience. The service was great. The apps were delicious, and the burgers were inventive. Our table ordered much of what the initial limited menu had to offer, and while most was good, some needed some work, which is fine, as the restaurant was not even officially open – we understood that there would be growing pains. The restaurant’s chef/owner was all ears to hear our comments and we look forward to going back and trying more options on their expanding menu. The restaurant is not particularly large, so we do recommend making reservations. We obviously ate more than just these dishes, so be sure to follow us on Instagram for more of our restaurant foodie pics.